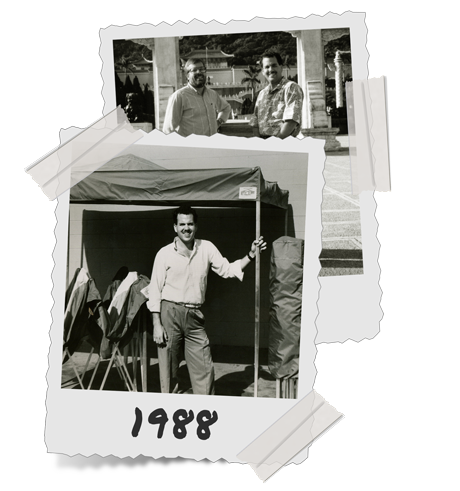 Back in 1983, while setting up shade for a weekend boat race on the Colorado River, 21-year-old Mark Carter realized he was missing a few parts to the team’s piece-together canopy. With temperatures over 110 degrees and no shade, it was the moment that Mark envisioned a portable pop up shelter that required no loose parts, and could be set up quickly and easily. The next day, Mark began working on his idea in his parent’s garage in Southern California. 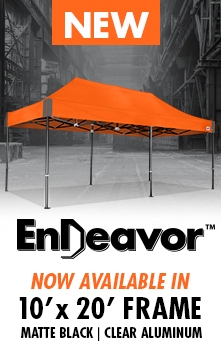 Over the next few months, he built and refined prototypes and invented the first Instant Shelter®. 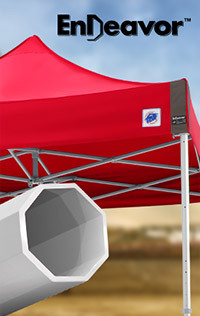 The combination of Brad’s international business and operational expertise combined with Mark’s ingenious invention of the Instant Shelter® created the perfect partnership and the foundation for E-Z UP’s success. Some of the driving forces contributing to E-Z UP’s success include absolute commitment to quality, from the materials, the craftsmanship, and dedicated employees that culminate into the finest shelter products on the market today. 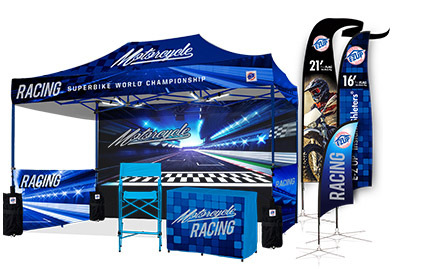 Teams of quality control professionals ensure that each shelter meets high standards of printing and manufacturing quality. After more than 30 years some of E-Z UP’s greatest accomplishments include employees celebrating 20 and 30 year anniversaries, customers still using a shelter made over 20 years ago, and thousands of awesome stories told all the time about how E-Z UP products are used in personal and professional life.